Yeah, I am pretty much the best thing since sliced bread! 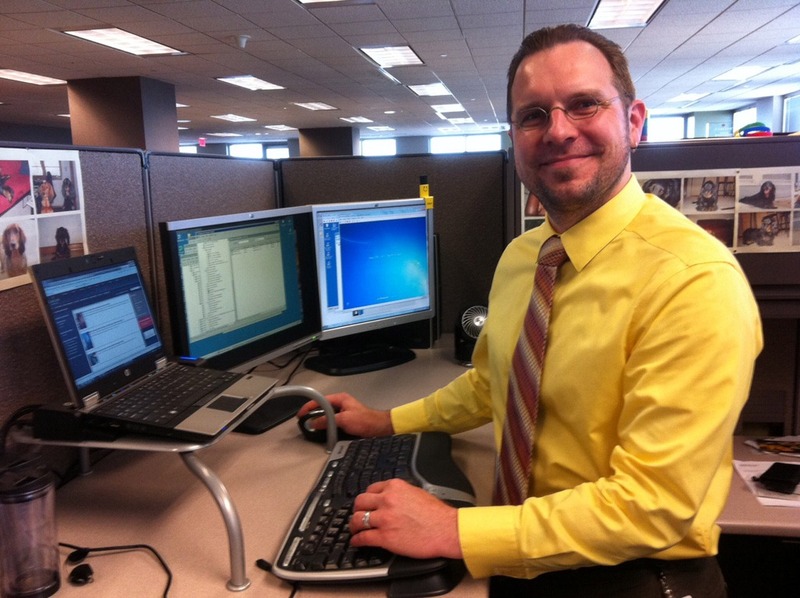 Photo: Matthew Teegarden of Information Technology is passionate about training and finding cost-effective solutions. Matthew Teegarden isn’t one to sit idle when something needs to get done, so when he heard Information Technology colleagues cite concerns about the availability of training, he took things into his own hands. When Matthew learned that the Kenexa employee engagement survey rated “Career Development and Training” as an area where improvements could be made, he decided to step up to the plate with a solution. 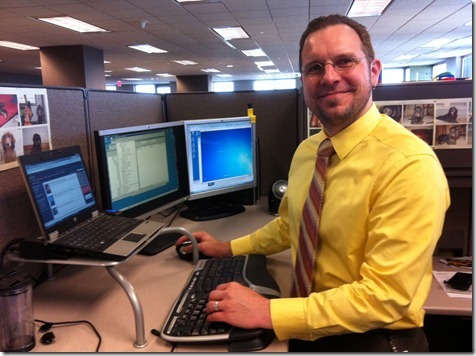 Before joining Carlson, Matthew was an educator at Benchmark Learning for five years. He worked out an agreement with his former employer to provide training materials, virtual classroom facilities and machines. His initiative resulted in a training program in Powershell, a technical scripting language. So far, 17 IT professionals have completed Matthew’s Powershell training course. “It appears to be a very cost effective training solution that also addresses issues from the Kenexa survey,” said Chris Schouviller, team lead, Operations & Infrastructure, who is Matthew’s manager. IT worked with the Human Resources team to include the class in the Carlson Learning Network, giving staff credit for taking the course. Matthew’s win-win proposal not only provides Carlson IT with the skills needed to be innovative and cutting edge, but also provides excellent return on investment! Bravo, Matthew!